1) Carrying it everywhere (as it's intended) means that I am more likely to 'collect' incoming information and actions. In this regard, it is working. 2) I replaced the Flex notebook with a Muji Passport-style cahier. 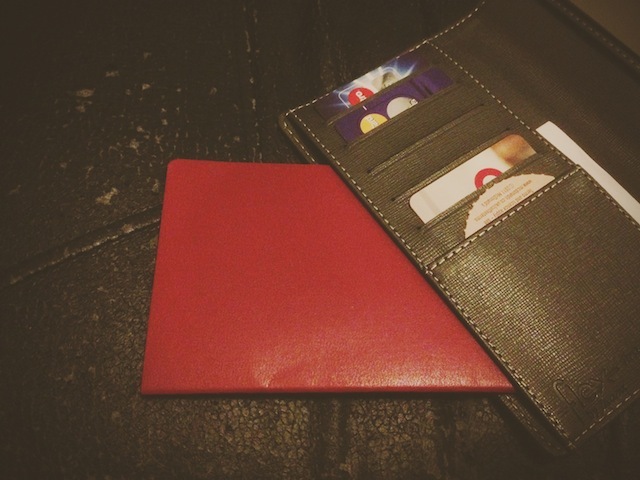 The pockets at either side of the wallet will hold a pocket cahier-style notebook. The Muji ones are slightly smaller than Moleskine ones ... both fit and both work. I have a couple of Muji cahiers that I'll use - they are cheap at 95p each ... and they fold flat. The inability to fold flat was the main issue why I replaced the Flex notebook - I couldn't open it flat without breaking the spine. We'll see how things progress but my initial impressions ... even after having to change the notebook ... has been very positive.